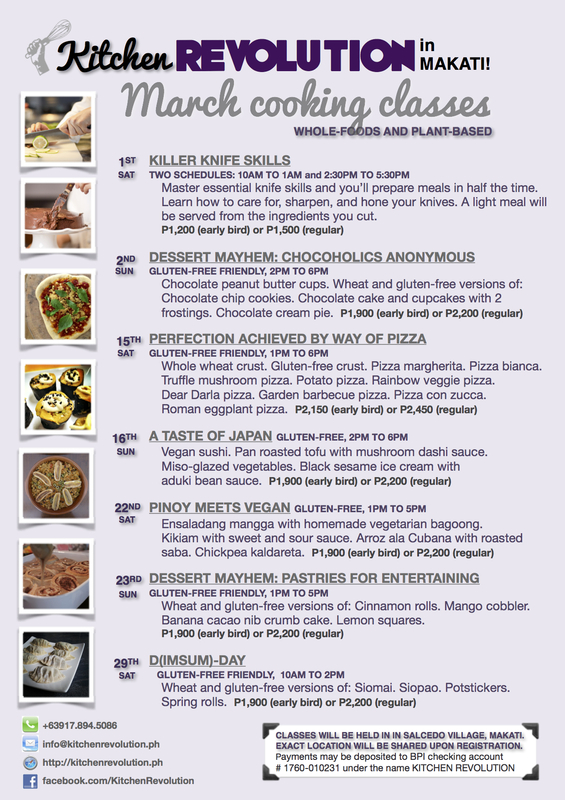 I’ve a slew of classes next month in Makati and Alabang. Check it out! 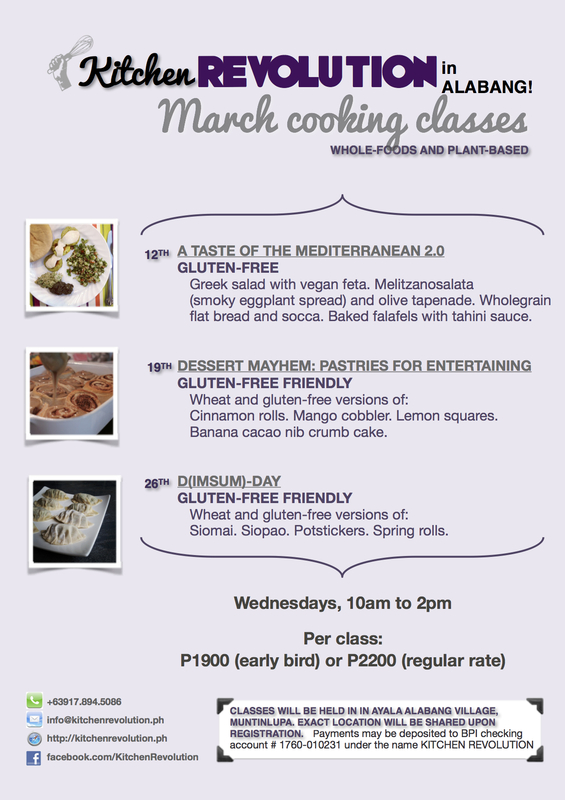 A few repeats but some new classes too, such as Pastries for Entertaining with wheat and gluten-free options. I’ve taught the D(imsum)-day class before but this time it’s got gluten-free options. A request from my students was to hold a Knife Skills Class. If you don’t know how to wield a knife or if your chiffonade is a joke, you need to come to this class. You’ll learn how to care for your knife, how to sharpen it, and learn mad chopping techniques that will greatly improve your meal prep at home. All classes are either gluten-free or gluten-free friendly, while keeping everything whole foods, plant-based, nutrient-dense, and delicious. Hi! I want to ask if you would be holding the knife skills class again? when and where? thanks!